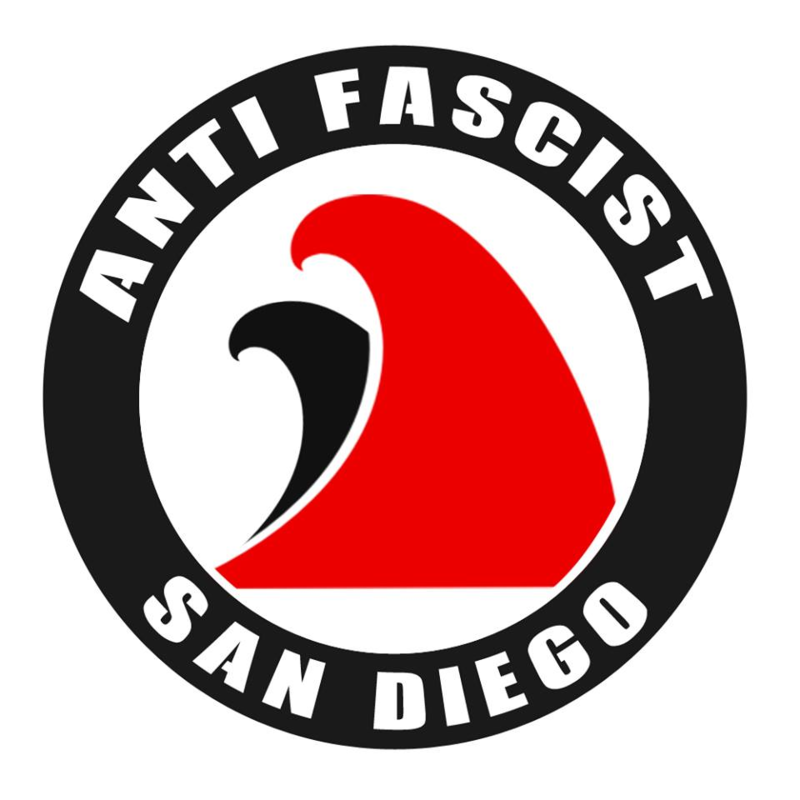 This is a call to organize and solidify an Anti-Colonial Antifascist division in San Diego while protecting our communities against white supremacist colonizers & gentrifiers, the racist pigs, neo-nazi scum and the alt-right We fully oppose and stand against all forms of racism, white supremacy, capitalism , homophobia , transphobia, antisemitism , & Islamophobia . We find ourselves fighting the hydra of fascism and far-right ideology. While its many heads have distinct looks in different parts of the world, this beast spews the same venomous poison of nationalism and bigotry everywhere. It demonizes refugees and immigrants, stokes hatred for Muslims, and attacks LGBTQ and other oppressed groups who are fighting for liberation and their very lives. The July 25 International Day of Solidarity with Antifascist Prisoners originated in 2014 as the Day of Solidarity with Jock Palfreeman, an Australian man serving a 20-year sentence in Bulgaria for defending two Romani men being attacked by fascist football hooligans. Whether acting as individuals or as part of larger organized demonstrations, this is the kind of bravery and solidarity which defines antifascist actions against the forces of hate. Since the day of solidarity last year, we have seen this spirit all over the world—in Indonesia, Czech Republic, Brazil, Poland, England, Greece, the United States, France, Syria, Australia, Japan and all points in between. While antifascism is global, unfortunately so is state repression. In the U.S., hundreds of antifa have been arrested resisting both the Trump regime as well as Far Right street forces. In Belarus, the state continues to harshly repress the antifascist resistance. While many of these comrades are awaiting sentences, there are still many who languish in prison. We will not forget these comrades behind the prison walls! We call on anti-fascists worldwide to act in solidarity with antifascist prisoners. Consider having an event or dedicating an action to them. They are in there for us, and we are out here for them! Bahasa Indonesia, Spanish, Russian, Swedish, and Finnish. Contact us if you can translate it into another language! Below is a list of global antifascist prisoners who have been sentenced. Hundreds more have been arrested but have not been convicted; we encourage local groups to support the antifascists of their choosing who are in legal trouble. If you are not donating to a specific person, a good option is to support the International Anti-Fascist Defence Fund. Please contact us: if you know an antifa prisoner who is missing form the list (include their details, and what languages they can read); if you can help translate the call; or if you are planning an event that, so that we can help publicize it: nycantifa@riseup.net. Maxim Yahnieshka was arrested after a fight on April 1st, 2015, where he was hospitalized in a fight with right-wing hooligans. Cops were called by hospital staff, and Maxim refused to name his attackers to police. After obtaining surveillance camera footage, the police identified the right-wing hooligans and had them accuse Maxim of prior conflicts. On September 7, 2016 he was sentenced to 3 years of custodial restraint for malicious bodily harm, theft of a hat, property destruction, and threatening to kill right-wing hooligans. Appeals to a higher court in November left his sentence unchanged, and on December 12, 2016 he was transferred to an open-type penitentiary institution. ABC Belarus encourages supporters to help Maxim’s family cover the costs associated with his imprisonment. The “open-type” penitentiary institution requires Maxim to pay for food and other services out of his own pocket. His costs are primarily shouldered by his parents, who are themselves in a terrible financial situation. Please make the Note as stated above! Jock Palfreeman is an Australian anti-fascist political prisoner serving a twenty-year prison sentence in Bulgaria for the rather mysterious death of a neo-Nazi football hooligan who was part of a group attacking two Romani men in Sofia, Bulgaria in 2007. Jock came to the aid of the Romani, and quickly found himself the focus of the attack. Bulgarian authorities did everything they could to ensure that Jock did not receive a fair trial, and after his sentencing have refused–in contravention of their own treaties–to transfer him to Australia to serve the rest of his time closer to his family. Jock recently wrote that, “Although I do not want people to forget that I continue to stay incarcerated for defending a Roma man being brutally beaten by 15 neo-nazis, this July 25th 2017 I request that as many people as possible can organize solidarity funds for our prisoners’ union here, the Bulgarian Prisoners’ Association (BPRA).” He also asks that people write to government officials and request that they meet with BPRA representatives. Powell is the first person sentenced of the over 200 people arrested for the January 20, 2017 demonstration against Donald Trump’s inauguration – #DisruptJ20. On July 7th, he was sentenced to 4 months in prison. Dane is a father, veteran, water protector, and active community member.